Welcome to ELK & Sons Consolidated. We have a diverse range of interests, primarily in the Australian market. 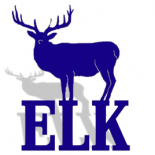 While ELK & Sons doesn’t currently trade itself, it often operates through any of it’s subsidiaries or related entities.